Thinking about starting a business? With technology on your side and new, creative ways to improve your business popping up everywhere, and small business banking solutions from Seacoast, there's never been a better time to be an entrepreneur. And the one thing you need to kick off your business venture? A great idea. If you're ready to take on entrepreneurship but don't know where to start, here are 14 business ideas to consider. Sure, there are plenty of businesses offering social media consulting services, but you can stand out from the crowd by focusing primarily on networks that are still gathering steam with businesses. Facebook and Twitter are still the top networks, but businesses tend to struggle the most with platforms like Instagram, Pinterest, Tumblr, Snapchat and Periscope. All of these platforms have huge audiences but many businesses don't realize how big they really are, how effective they can be and how to make them work for their niche. Periscope, Twitter's live-streaming app, has more than 10 million active accounts, for example, and Snapchat has more than 100 million users, according to The Verge. Tumblr and Instagram have more than 400 million users, and Pinterest has over 100 million. If you've got a background in social media and a deep understanding of these particular platforms, try starting a social consulting business that focuses less on the basics and more on helping businesses take advantage of the millions of users they're not reaching by sticking solely with Facebook and Twitter. Many businesses these days are focusing on marketing to millennials, but it might be worth it to start a business that caters to seniors instead. People are living longer than ever, and that opens up a whole new audience of customers. According to the National Institute on Aging, between 2010 and 2050, the 85-and-over population is projected to increase 351 percent globally — 188 percent for the 65-and-over population — and the global number of centenarians (those over age 100) is projected to increase 10-fold. That's a lot of people who could use specialty services that cater to their needs. And there are plenty of ways to help seniors and grow a successful business. Everything from salon services to errand services can be a success, as long as you can bring your skills to their homes or assist older people who can no longer walk or drive in some way. Also, consider a business to help seniors transition from their homes to assisted living facilities, from packing and transporting to setting up or storing their furniture and possessions. Thanks to the emergence of the Internet of Things, smart products are the next big thing and the possibilities are endless. Researchers at Disney Research recently developed a new sensing technique that has the potential to enhance everyday objects via a single sensing electrode. Examples of its potential include a doorknob that knows whether to lock or unlock based on how it is grasped, a smartphone that silences itself if the user holds a finger to her lips and a chair that adjusts room lighting based on whether a user is reclining or leaning forward. "In our laboratory experiments, we were able to enhance a broad variety of objects with high-fidelity touch sensitivity," said Ivan Poupyrev, senior research scientist at Disney Research. "It could immediately be used to create new and exciting ways for people to interact with objects and the world at large." Smart technology can be applied to clothes as well, including for medical purposes. A team of engineers at the University of Arkansas recently unveiled a series of nanostructured textile sensors integrated into a conventional sports bra for female patients and a vest for male patients that gather critical information about the wearer and communicate in real time to a physician, hospital or the patient. Consumers of all age groups have been hopping on the "all-natural and organic" bandwagon when it comes to their food and lifestyle products, but according to a trend report by JWTIntelligence, the over-50 crowd is especially interested in natural beauty products made with ingredients like charcoal and kale. Launching your own line of homemade face soaps, scrubs or cosmetics could be a smart way to capture this demographic. 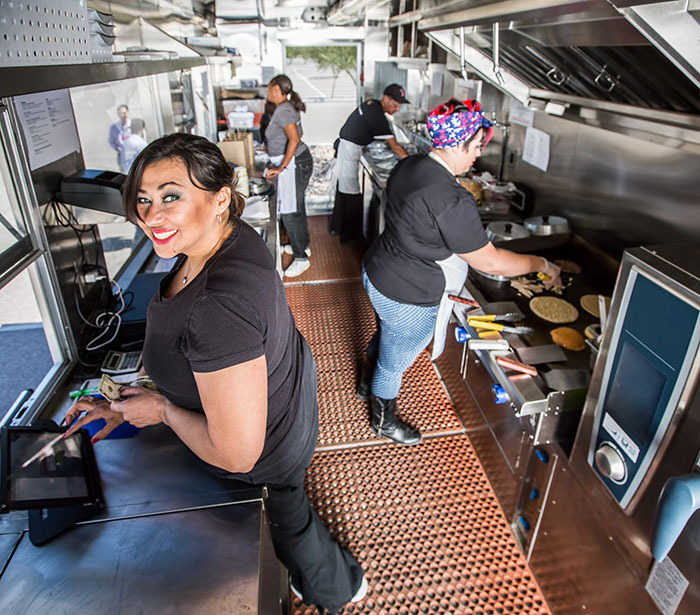 If you've ever dreamed of opening a restaurant or a food truck, this just might be the time to do it. JWTIntelligence's report noted that millennials are more health-conscious than ever, and "guilt-free" takeout food will become an increasingly popular culinary trend. Consumers are looking for competitive pricing on local, seasonal dishes that they can take on-the-go with them. There has never been a greater need for a people who can understand and navigate the complicated world of healthcare. As changes continue to roll out under the Affordable Care Act and as users try to navigate the complex system of enrolling for insurance, people who can help make the transition easier will be in great demand. A healthcare consultant needs to have a background in healthcare and insurance, but doesn't need a fancy office or a big staff. Crowdfunding lets groups of people pool their contributions to invest in startups. With the concept still in its infancy in the United States, entrepreneurs need help finding the best way to tap into this new source of investors. Crowdfunding consultant Victoria Westcott said she helps others understand the practice and raise more money by helping plan, strategize and run campaigns to attract new backers. "The fact is, crowdfunding is not quite fundraising and it's not quite pre-selling either," Westcott told Business News Daily. "Crowdfunding is a whole new thing." With so many entrepreneurs looking for the cash to turn their idea into an actual business, Westcott believes the need for crowdfunding consultants will grow in years to come. With the general population living longer than ever, health-care needs are growing exponentially. Currently, statistics show more than 2.8 million Americans use a wheelchair for mobility, allowing greater independence in daily functioning, home life and vocational settings. All this wheelchair usage means there's a lot of need for repair and maintenance of wheelchairs, along with other medical devices. In a study led by Michael Boninger, of the VA Pittsburgh Healthcare System, about 53 percent of wheelchair users reported one or more breakdowns requiring repair between 2006 and 2011. There is a need for those who can fix both manual and electric wheelchairs quickly to get them back to those who depend on them. All businesses are looking for new ways to connect with their customers, but many are missing the mark when it comes to connecting with minorities. Research from direct advertising firm AccurateLeads found that marketers who don't target minorities are losing out on a $3 trillion market. The study shows many companies fail at reaching minority customers because they don't take the time to know that audience. To reach those targeted shoppers, businesses must recognize the places where the consumer resides and design a specific message not just for one ethnicity, but for cultures among those segments. This has created an opening for marketers looking to stand out from the crowd. Lisa Skriloff, founder of Multicultural Marketing Resources, Inc., said with minority populations growing at a faster rate than Caucasians, businesses that want to succeed must tap into the minority markets. From books to blogs to social media posts, it's easier than ever to communicate via the written word. Audiences are ready to consume content from their favorite brands and celebrities, but actually crafting that content can be tricky, so many companies are turning to ghostwriters to help put their thoughts down on paper. "Because of technology and the Internet, publishing and sharing written material is easier and cheaper than ever," ghostwriter Melinda Copp told Business News Daily. "All those words have to be written by someone." Beyond online writing, more business leaders are authoring books, with the aid of ghostwriters, to build their credibility. "Some of my clients have leveraged their books to generate more and better speaking opportunities, more frequent appearances on business shows, and opportunities to work with better clients," said ghostwriter Jeff Haden. "Great content can help build a great foundation for a business or personal brand." Whether it's cutting energy costs or reducing their carbon footprint, the pressure for businesses to adopt green practices is high — and it's only going to grow. Business sustainability consultant Barbara Englehart said there are numerous benefits for companies that go green, including reduced costs, risks and liabilities and increased employee retention, productivity and moral. "This is all quite new in the business world, and companies need help," Englehart told Business News Daily. "They weren't teaching sustainability in business schools five or 10 years ago." The daily news is filled with fires, floods and other tragedies around the country. Those disasters have the ability to wipe away years of hard work, and that reality is forcing many business owners to evaluate their own situation. "Unfortunately, we are in a cycle of more frequent and severe weather events, coupled with an alarming occurrence of freak events," Barry W. Scanlon, former president of crisis management and public safety consulting firm Witt Associates, told Business News Daily. "This has led more and more leaders and businesses to realize that if they are not prepared for all hazards and crisis events, their hard work and growth can be lost in a moment’s notice." The desire to be prepared for the worst is increasing the need for consultants who can help guide businesses through the necessary steps for protecting all pieces of their company — from physical buildings to online documents — in case of a disaster. Following a decline during the recession, translation services are poised for renewed growth. According to research from IBISWorld, the Internet has been instrumental in increasing demand for translators because businesses moving into new countries use services to adapt websites and marketing materials to the new region. The study shows that as companies once again focus on international growth over the next five years, they will turn to the translation industry to provide localization services. A growing population of immigrants is expected to contribute to further growth. "The industry has grown as companies look to cash in on an increasingly global marketplace," said IBISWorld industry analyst Andrew Krabeepetcharat. This need has created an opening for dual-language speakers with the ability to interpret speech from one language to another. Specific services they can provide include document translation and the translation of website information into languages for use in other countries, taking into account unique cultural and linguistic traits. Few things can be as frustrating as taking a car in for service. It's a time-consuming process that often requires the owner to make cumbersome alternative transportation arrangements while the work is being done. Research shows there are more than 115,000 auto repair and service shops nationwide, each fixing an average of 55 cars per week. Thus, there is a growing need for those who can make the process as smooth and painless as possible. Car service concierges are able to pick up your car for you, take it in for service and return it when it is finished. For those who can't afford to be without a car while vehicle is serviced, the concierges also can provide a rental car. If you, have questions sparked by the suggestions above or are looking for some insight in regards to your own small business development, there's no better place to find it than from a seasoned small business owner, banker and professional - Don't miss your opportunity to ask Seacoast's Executive Vice President, Small Business Banking Leader, Julie Kleffel any question you'd like about small business in the form below. AND mark your calendars for May 31st at 12pm EST, as Julie hosts a #SeacoastSmallBiz Twitter Chat with Seacoast Bank (@SeacoastBankCom) to provide insight on her own experiences as a successful small business owner, mentor and lender, and dive deeper into how to launch, nurture and grow successful small businesses in the state of Florida. Read the original article on BusinessNewsDaily. Copyright 2016.